Offering 7 Diverse Parks In Mid-Michigan! Now accepting 2019 reservations for Brower, School Section, ​Merrill-Gorrel and Paris Parks. Click here and schedule a visit to your favorite Mecosta County Park! ​For park-specific information click the "County Parks" tab and select your park of interest. 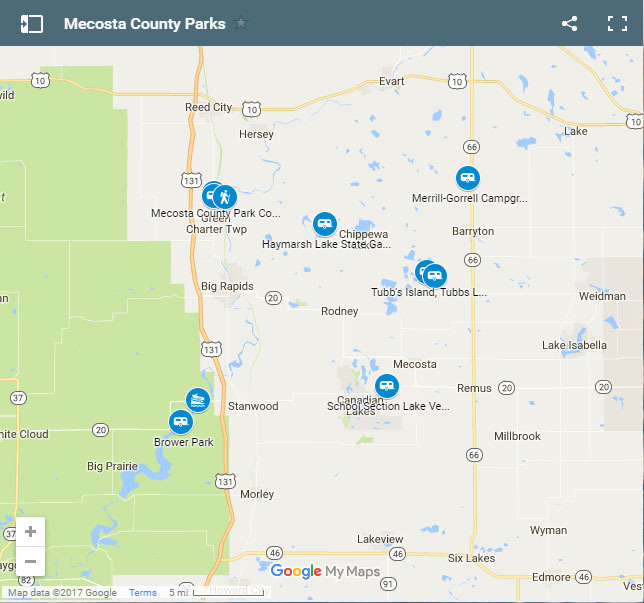 ​Welcome to the Mecosta County Parks! 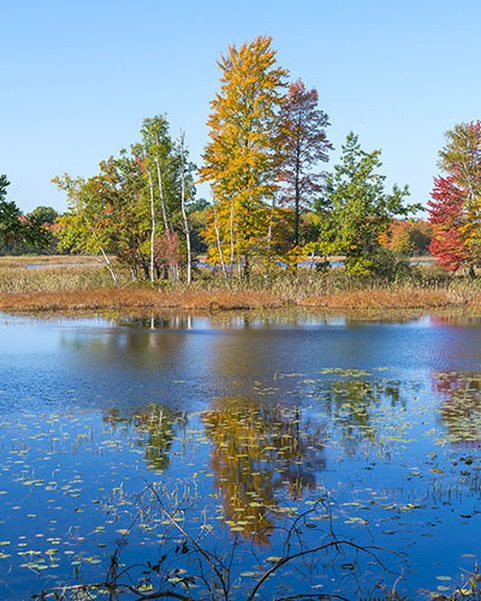 Located halfway between Kalamazoo and Traverse City, Mecosta County is an outdoor recreational paradise with over 100 lakes, rivers and streams, including the mighty Muskegon River. The parks are located throughout the county and all of the Mecosta County Parks are waterfront properties where you can enjoy swimming, boating, fishing, picnicking, and a variety of other fun activities. If you enjoy the outdoors and are traveling through the area, stop by and visit our gem of nature. We are less than two hours from Michigan’s metro areas and we would love to have you as our guest. If you are a camper, Mecosta County is a camping heaven with a wide array of waterfront campsites to enjoy! We offer everything from primitive tent camping to modern hook-up sites for motor homes and trailers, as well as cabins if you prefer a roof over your head. Our park campgrounds range in size from less than 20 secluded sites at Haymarsh to 240 campsites with a thousand feet of sandy beach area at Brower Park. Our only exclusively day-use park at Davis Bridge features a boat launch (including trailer parking) to access and enjoy the 18 mile long Hardy Dam Reservoir on the Muskegon River. You can make camping, cabin, & pavilion reservations online by clicking the online reservations tab or the button below. Brower Park, School Section Lake Veterans Park, Merrill-Gorrel Park, Paris Park and Davis Bridge Day-use Park. ​​The Michigan State Park Recreation Passport does not apply to the Mecosta County Parks.